So what do we have here? 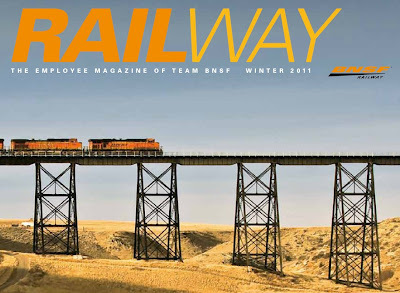 Well, it's the front cover of RAILWAY magazine, the house organ of Burlington Northern Santa Fe. 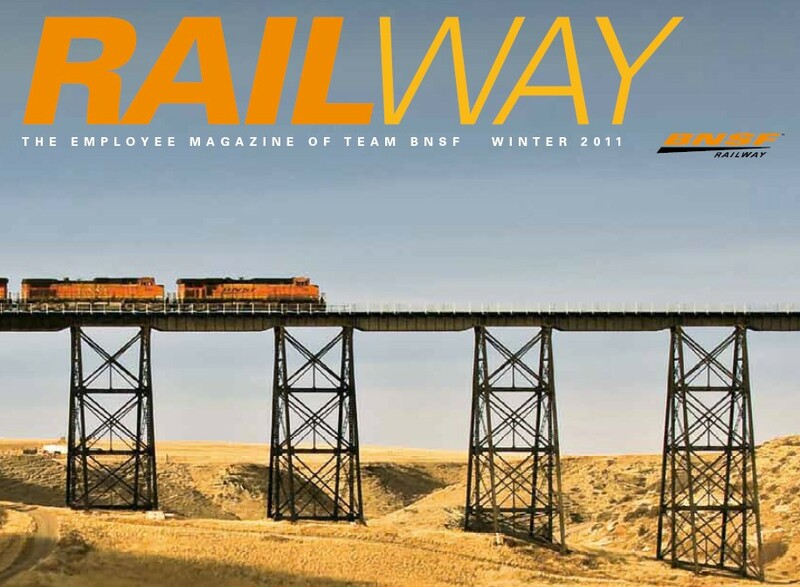 This is available to you through a new initiative to promote "friendly relations" between the BNSF and friends of the railroad, including rail-fans. Most items are downloadable as Adobe .pdf files. The screensaver features the logos of the route lines which eventually form BNSF. I was a little disappointed the Spokane Portland & Seattle wasn't included. But only those of us with whiskers would find the discrepancy. You recall the stories I wrote on the Missouri River and Souris (Mouse) flooding? Well, there is a neat video recap of how the flooding affected operations, on the site! The site is full of news items, easy to navigate, quick response for downloading and worthy of an icon on your desktop. A 2012 calendar is available during this ramp up - "while supplies last..." Click the logo to set up your free account! Where the heck is Sohar?